The Tarfish 32 is the biggest boat in the Tarfish range. Powerful and dependable, it has the speed and the range that only a select group of offshore fishing boats can provide. It also has the same door design from the pilothouse to the large aft deck and fish tank(s) on the aft deck as the other Tarfish models. 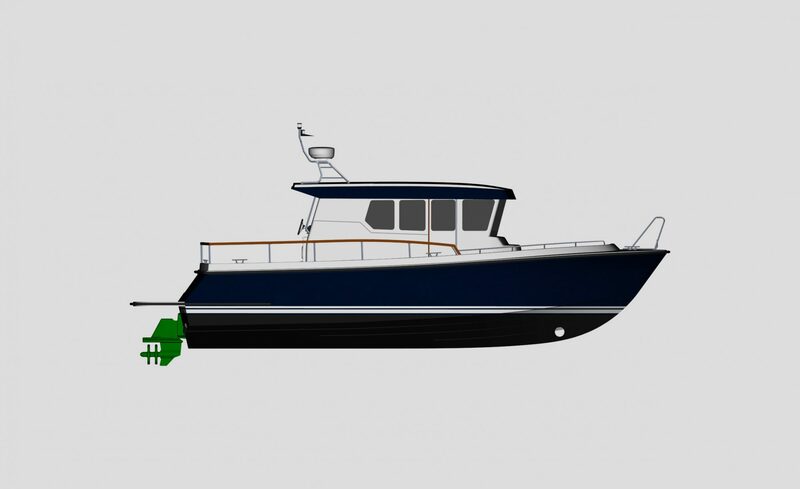 Wide side-walks, high side rails and gunwales and well placed grab-rails also come standard, as well as a spacious pilothouse, roomy toilet in the fore cabin and three berths in the aft cabin. As with all Targa boats, safety and practicality always come first in the Tarfish 1040.